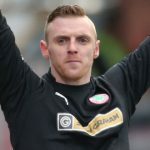 Cliftonville Football Club are pleased to announce the signing of Ryan Curran from Ballinamallard United. 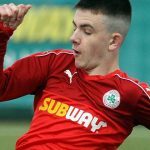 The versatile attacker – who scored 16 goals for the Ferney Park side this season – began his career with Derry City before a brief spell at Finn Harps and arrives at Solitude following strong interest from a host of Danske Bank Premiership sides. 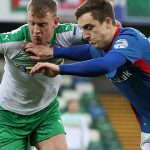 “When I first came into the Irish League, I always had it in the back of my mind that Cliftonville was the team I wanted to get to,” explains the 24-year-old. “It was a mixed season for me. Obviously it was very disappointing for Ballinamallard to be relegated but I did have quite a good year personally, it’s just a shame we weren’t able to stay up in the end. “I’m coming to Cliftonville now and I can’t wait to be a part of things here. There were quite a few Clubs who wanted me, which was nice from a personal point of view, and I had a few options available but, as soon as Barry Gray said he was interested in signing me, my mind was made up. 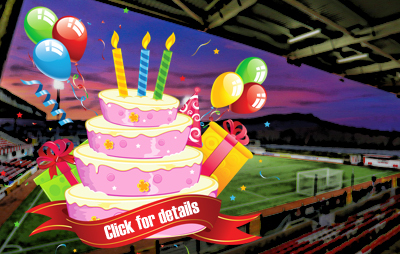 Still need a Cup Final ticket?